Hubcap does have that certain charm, even without knowing anything about him. The g1 hubcap was one of my first transformers, still have him today. Love the sig! 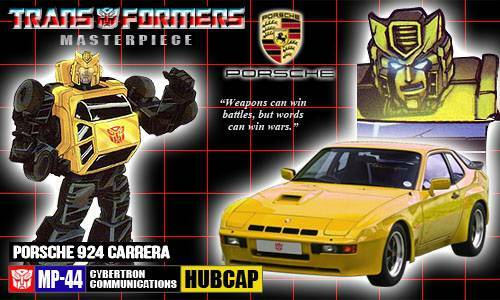 Hubcap never gets any love. I feel like we need a better Side Burn. But yeah I don't think he'll be a Lambo for several reasons firstly like you said too many lambos in one line, secondly his colour scheme wouldn't be hugely different to breakdown and thirdly the off road mode in IDW would be a bit pointless if it wasn't going to coincide with the new Prowl. I'm hoping he's a new mold that will get retooled into Swindle. Omg you've been a member since '02 & you only have 7 postings? http://videotron2000.wordpress.com - Video-Tron 2000: LASER-BLOG OF THE FUTURE!